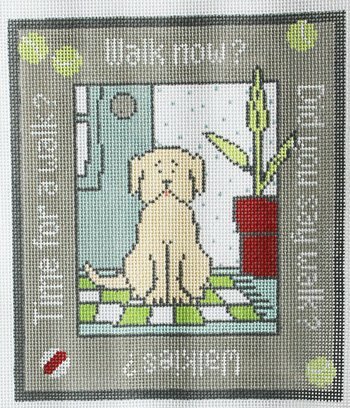 A whimsical dog needlepoint design from Pippin Studio. This dog needlepoint design can be purchased canvas-only or with fibers. If you select cotton fibers we will supply DMC embroidery cotton. If you select wool or silk fiber we will provide the luxurious Planet Earth boutique fibers. This dog needlepoint design is usually in stock and ships in one week.